Prayer of Hannah was created in 2007 by a group of friends from Wake Forest, North Carolina. Leah, Christina, Margaret, Krista, and Hollie all taught school together, and then all embarked on the journey of motherhood at the same time. After the birth of our first children, we decided to start a blog together to share stories, ideas, and encouragement about trying to raise children up in a godly manner. We have all moved away (to all parts of the world), as well as brought many more babies into the world. We've also been blessed to add new authors to our mix, Meagan and Leah F., who were friends from our Wake Forest days. We hope you find Prayer of Hannah to be a source of encouragement and delight in your daily walk with the Lord and your daily training of your children. We are always looking for new topics to discuss, so please feel free to make suggestions. We wish for our blog to be a place of positive encouragement and exchanging of ideas to make us better moms. Thanks for visiting! Christina and her husband, Jacob were married in October, 2004. Their first son, Will, was born in June 2006, premature at 32 weeks. Adeline was born in March of 2008. The most recent addition, Anna, was born in June of 2011. They currently live in North Carolina. Life pre-children was filled with her job as a middle school science teacher. After the birth of Adeline, the focus shifted as she took on the role of stay-at-home-Mom! Christina enjoys reading, crafts of any kind, camping, going to the beach, and spending time with family. She loves to bargain shop and use coupons to score great deals for her family. Who doesn't like free toothpaste? Leah and her husband Ed have been since December 2003. She is the proud mommy of Samuel, born August 2006 and Joel, born March 2008. Leah enjoys crafts of all kinds and teaching others anything from how to sew to how to study the Bible. She was a Spanish teacher before leaving the profession to raise her children. She has been walking with Jesus for 10 years. She and her family currently live in Chicago, IL. Hollie and her husband Hugh have been married since 2004. She is the proud mommy of Laney and Mattie, born 2006 and 2009. Hollie enjoys learning about everything from nutrition, cooking, and sewing, all the way to running, decorating, taking pictures, and bargain shopping. She taught High School Spanish for 4.5 years before leaving the profession to raise her daughters. She has been a born-again believer (Christian) for 16 years. 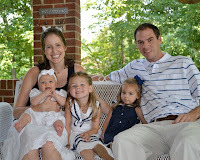 Hugh and Hollie live in South Carolina, where they moved after Hugh received his Masters of Divinity at Southeastern Seminary in 2009. Meagan and her husband, Mark were married October 16, 2004. They feel incredibly blessed to be the parents of three precious girls, Karis, born May 2007, Karlie, born January 2009, and Abbi, born February 2011. Meagan taught preschool before leaving the workplace to be a stay-at-home wife and Mama. She has a passion for learning about nutrition, natural solutions, classical education, biblical parenting, and financial stewardship. Her deepest desire is to raise her children to love the Lord and His Word. She has been walking with the Lord for 14 years. Meagan enjoys cooking, blogging, reading, online scrap-booking, spending time outdoors, and having fun with her sweet girls and handsome husband. Leah F. has been married to Nathan since January 2001. They are the proud parents of Georgia (2006), Baxter (2008), and Eleanor (2011). 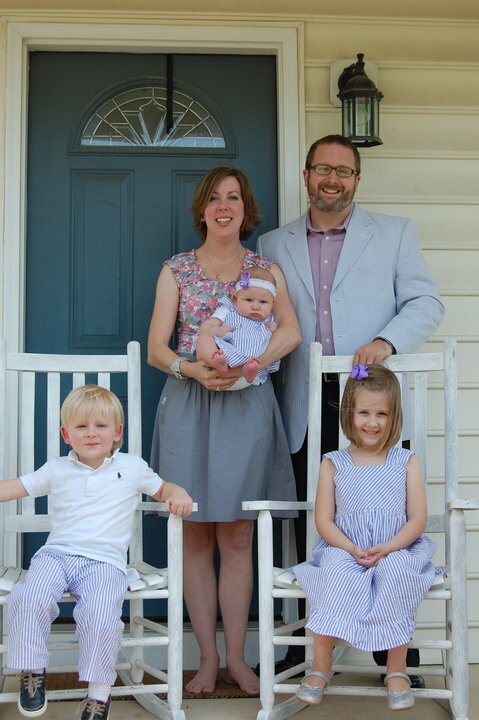 The Finns live in Wake Forest, NC, where Nathan attended seminary and is now a professor. Leah was an administrative assistant to a business executive before “retiring” to stay at home with her children. When not chasing the Finnlings around the house, Leah enjoys blogging, reading, sewing (and other crafty things), and entertaining in her home. Most importantly, though, she wants to help her children grow to be “trees planted by the water” (Jer. 17.7-8; Ps. 1) as believers in Jesus.